Very thin, lint-free gel pad patches has been specially produced to separate the bottom of the upper eyelashes. Fragrance Free, hypo-allergenic, hydrogelic type designed for reducing the lines and wrinkles in eye zone without irritation by using effective and continuous skin penetration of cosmetic ingredients. 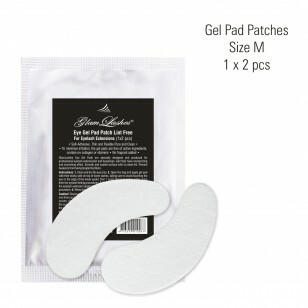 Gel patches help your eye zone skin to continuously firm and increase elasticity. The fine lines and wrinkles can be reduced by using these gel eye patches. Instructions: Cleanse and dry face thoroughly. Open pouch, remove sheet backing from each eye patch. Apply patch under each eye for 20-40 min. while relaxing. Remove patches and allow excess moisture to be absorbed. Cautions: Keep out of the reach of children. Glycerol, Sodium Polyacrylate, Water, Aloe Barbadensis Extract.